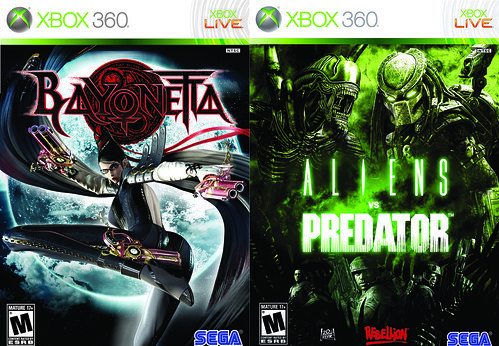 Bayonetta and Aliens vs Predator, two of SEGA’s titles from 2010 are now available on Xbox Live in the Games On Demand service for the Xbox 360. Bayonetta, which is widely argued to be SEGA’s best release of 2010 is available for 19.99 USD and is 6.81 GB, while Aliens vs Predator is 29.99 USD and is 6.12 GB. Both games have free demos on the service, as well. This entry was posted on February 22, 2011 at 2:28 pm and is filed under Bayonetta, Digital Download, PlatinumGames, Xbox 360. You can follow any responses to this entry through the RSS 2.0 feed. You can leave a response, or trackback from your own site.